With over 24 years of industry experience under their belts, the team at Bugs and Wildlife Genius is equipped with the knowledge and skill to help rid your home or office of its unwanted pests. Focusing on long term pest control solutions, our team will make sure to not only rid you of your immediate pest control problem, but prevente future problems from occuring. We stand behind our work and will proudly warranty any repair services we make to patch up any entry points we've found. At Bugs and Wildlife Genius, we understand discovering a pest problem at your home or office can be a very stressful situation. Our team of experienced Cleveland exterminators are very thorough and during the initially inspection will identify all possible entry points before developing a customized solution that will keep you pest free. 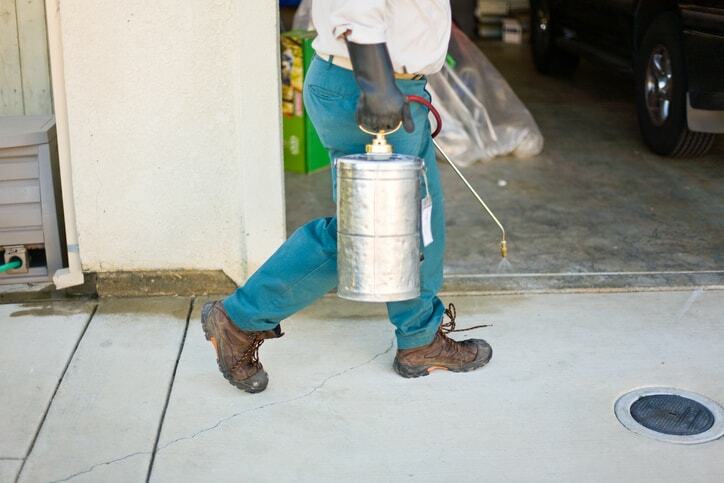 From one time treatment to routine pest control services, no job is too big or too small for our team. Call us today at 216-446-7882 to schedule Cleveland pest control services for your home or office. We have a nest of hornets between our property and the neighbor who is raising grapes, Think the are actually in the ground at the property marker. Can you handle this without destroying the grapes? I am terribly allergic and was bitten last weekend.